moderate hip or knee osteoarthritis, walking a minimum of 3,000 steps ( 30 ) The results of a clinical trial published in Arthritis Research and Therapy suggest that supplementing with glucosamine and taking regular walks (about 3000 steps or 30 minutes, at least 3 days per week) can improve pain, physical function, and overall activity levels in adults with mild to moderate knee or hip osteoarthritis. Subjects included 36 inactive middle-aged adults that were treated with 1500 mg of glucosamine per day for 6 weeks, followed by a walking program of either 3 or 5 days per week (glucosamine supplementation continued). Physical activity levels, physical function, and pain assessment scores improved during the first 6 weeks of the study. Between the start of the walking program (week 6) and the final follow-up (week 24), further improvements were seen, though most improvements happened between weeks 6 and 12. No significant differences were observed between participants who participated in the 3 and 5 day per week programs. From Deanna Waters: I have found this study to be true in my own case. The combination of regular walking at least 3 days a week, and daily intake of glucosamine has made a great difference for me, ongoing over the past two years. I also do a variety of other exercises at the gym. One of the biggest concerns with aging, is the fear of cognitive decline or dementia. This study affirms my determination to take my daily dose of USANA's BiOmega fish oil capsules for optimal Omega 3's. Fish oil is a good source of omega-3 fatty acids (EPA and DHA) that we know are beneficial for the heart and brain. 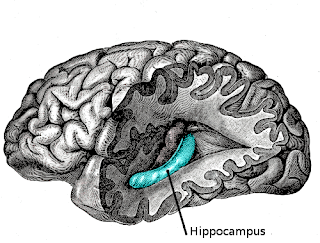 But, research now shows that higher blood levels of EPA/DHA may be correlated with the actual size of the hippocampus, the area of the brain related to learning and cognition. Very interesting stuff. Normal aging results in overall brain atrophy, or shrinkage. In a study published in the journal Neurology, scientists looked at the possible association between higher levels omega-3 fatty acids and greater brain volume in aging adults. The study included 1,111 women aged 65 to 80 enrolled in the Women’s Health Initiative Memory Study. At the beginning of the study, blood samples were taken to analyze omega-3 fatty acid (EPA and DHA) levels. On an average of 8 years later, magnetic resonance imagining (MRI) was conducted to measure brain volumes. In addition to total brain volume, several specific regions of the brain were also measured. Adjustments were made for factors such as hormone therapy, time since randomization, demographics, and cerebral and cardiovascular disease risk. In fully adjusted models, a greater blood volume of EPA and DHA was correlated with a larger brain volume, and even more specifically with greater hippocampal volume in these postmenopausal women. The hippocampus is an area of the brain involved with cognition and learning. This effect on brain volume is thought to be the equivalent of delaying the normal age-related loss of brain cells by one to two years. The results of this study suggest that higher omega-3 fatty acid levels achieved through diet or supplementation may reduce normal brain atrophy and help delay cognitive aging and dementia.